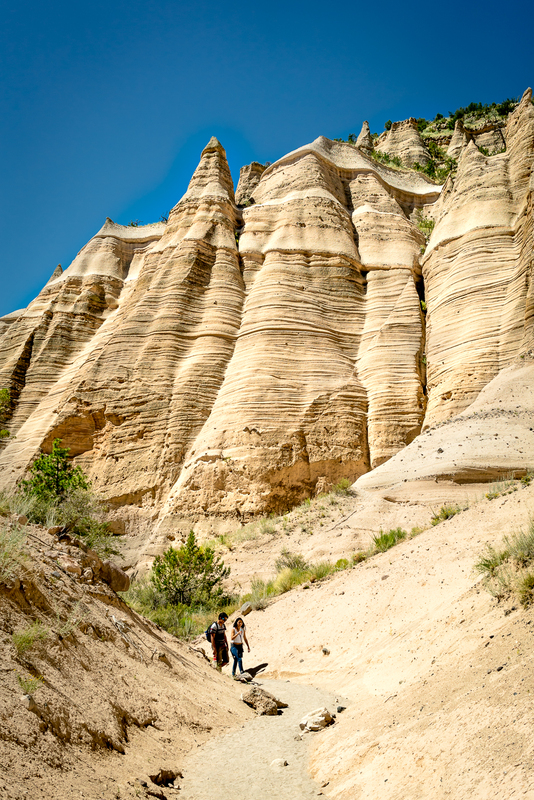 Kasha-Katuwe Tent Rocks National Monument is between Santa Fe and Albuquerque. 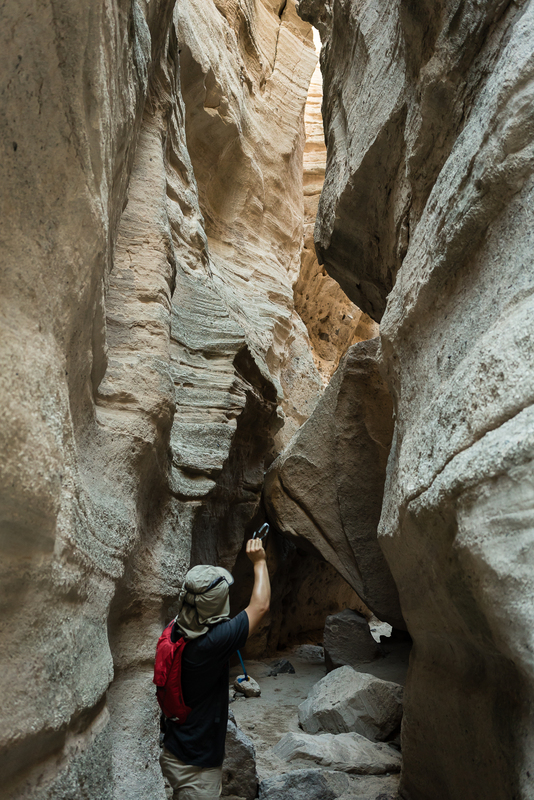 It’s only about a 3 mile hike, with only 600 feet in elevation rise. 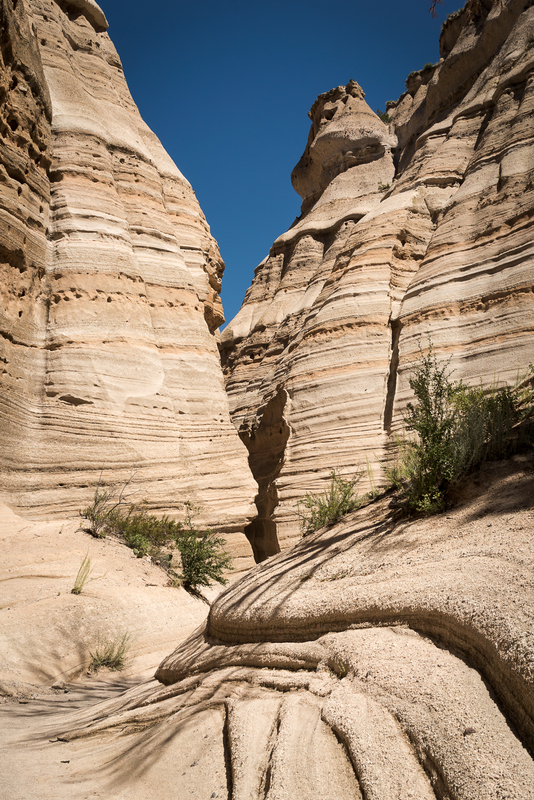 If you want to visit Tent Rocks, arrive early, before the heat and the tour groups, and bring lots of water. 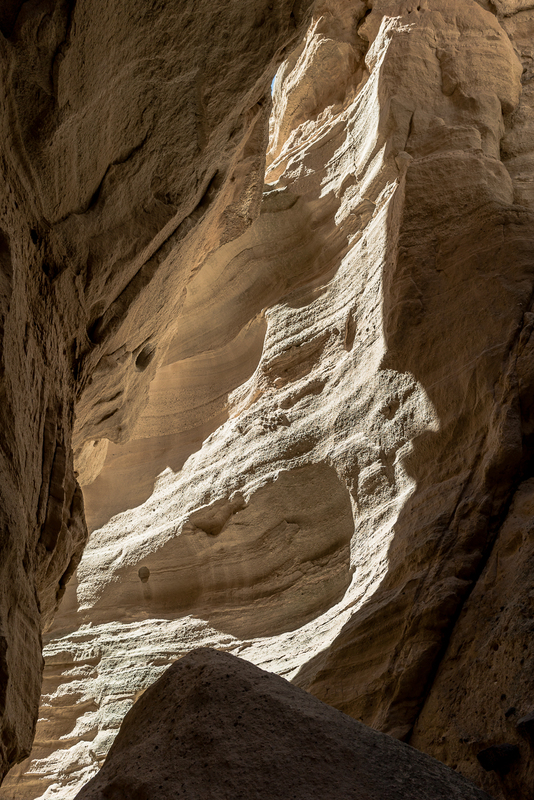 At Kasha-Katuwe Tent Rocks National Monument, you hike through a limestone slot canyon. 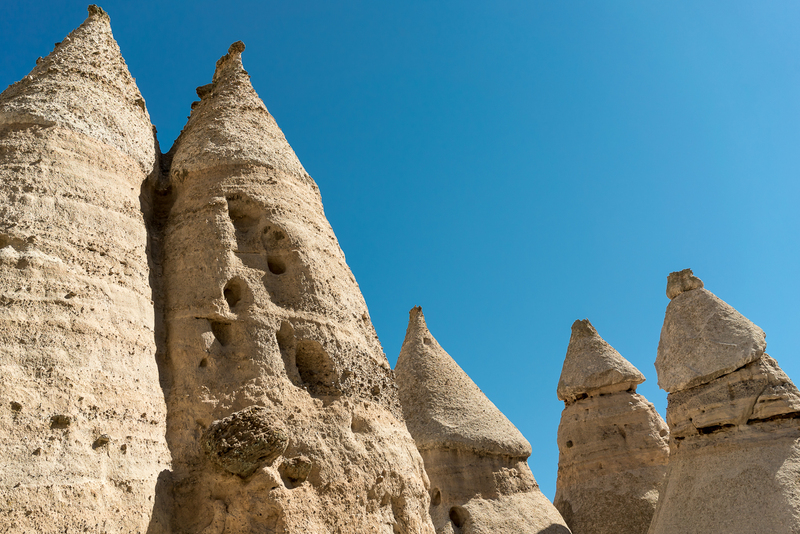 Up above, there are formations of the most unusual shapes– some are like tents, some are like upraised fists, and some are like petrified dunes. 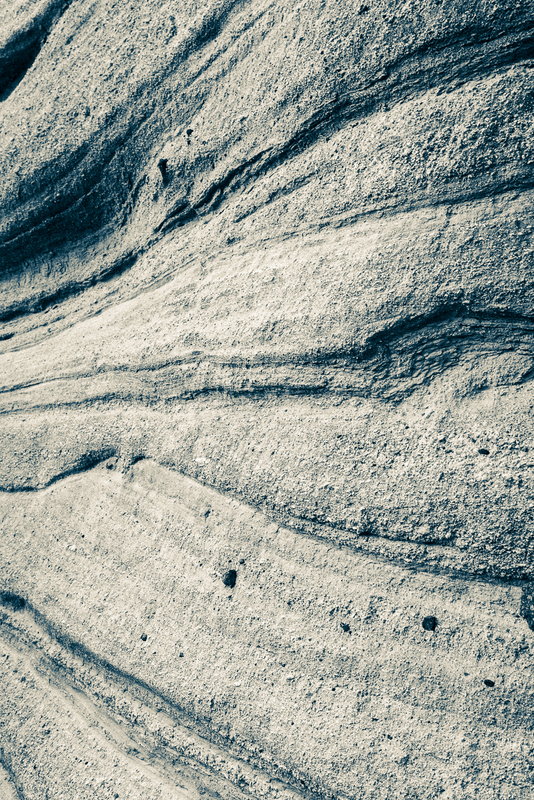 It[s a testament to the power of wind and water in the west. 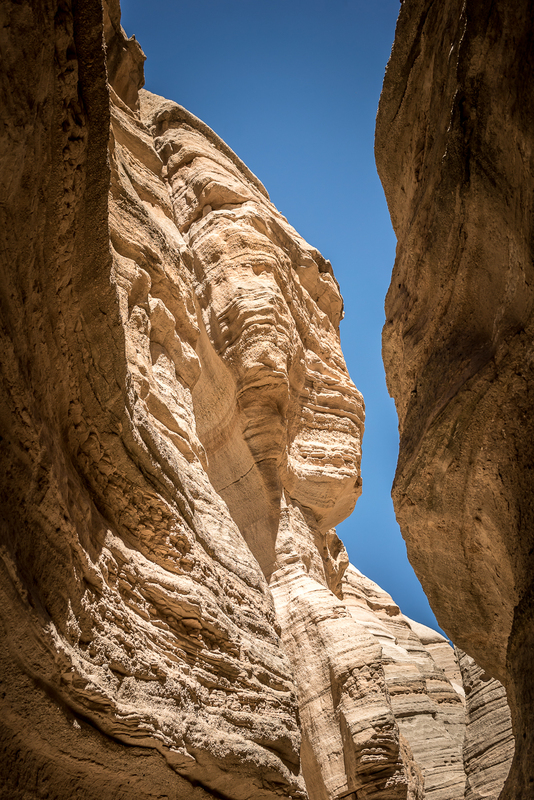 My sorest muscle after this hike was my neck– from craning at all the great scenery. 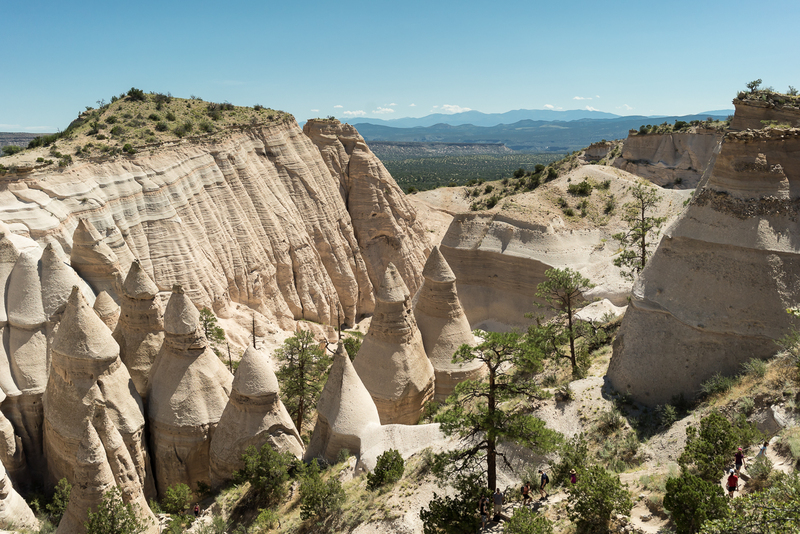 This entry was posted in Photography and tagged kasha-katuwe, kasha-katuwe tent rocks national monument, limestone, national monument, national parks service, nature, new mexico, panorama, photography, rock, scenery, slot canyon, tent rocks, view, west on July 27, 2015 by Vironevaeh.